After our June Marketplace had to be cancelled, we are more than ready to take over the Armory lawn Saturday! 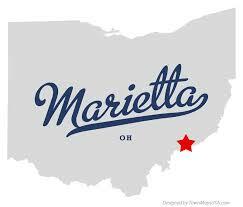 With the Sweet Corn Festival just down the street in Muskingum Park, we hope you’ll spend the day in Marietta and enjoy all it has to offer. If you’re wondering—we WILL be open, rain or shine! The only exception is the definite threat of severe weather, such that we experienced last month with high winds and lightning. The forecast is looking okay for this weekend, a typical hot July day. If you are a first time visitor, here are directions to the Armory — If you are approaching Marietta from I-77 in either direction, you will take the exit ramp and go right toward town. You’ll drive through the business district and stay on Pike street. You will drive past the football stadium and soccer fields and keep driving until the street ends and you can only turn right or go to the Lafayette Hotel. You will turn right, and now you are on Front Street. Just a couple blocks and you will see the Marketplace on your left, on the lawn. There is a public parking lot next to the Armory, along with street parking. If you can’t find parking nearby, there is another public lot across Putnam Street along the bridge, where the Sweet Corn Festival will be set up. You can walk from there to the Marketplace and check out the great shops and eateries you pass. Be sure to leave yourself enough time to explore Marietta, it’s a great little city! From the parking lot next to the Armory, you can even cross the walking bridge to Harmar Village, another quaint neighborhood with more unique shops.